A new multifunctional bus terminal was inaugurated recently in the resort town of Sa Pa, covering over 4,000 square metres with the capacity to accommodate nearly 300 buses. The station comprises six storeys and one basement and was built at a total cost of VND200 billion (US$8.6 million), by Ha Son Tourism Transport Company. 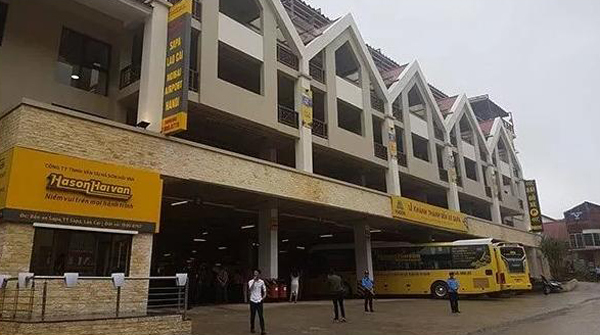 The Sa Pa bus station is equipped with a smart operation system and the data is connected with the Vietnam General Directorate for Roads. Buses travelling in and out of the station are managed by magnetic cards and monitoring cameras. It also features modern amenities, such as waiting lounges for VIP passengers, restaurants and entertainment services for children, which are expected to offer an excellent experience to visitors to the town. Vice Chairman, Nguyen Thanh Duong, of Lao Cai province, where the station is located, said he expects domestic transport companies to open international routes with the Sa Pa bus station as a key hub. Each year Sa Pa welcomes around 2.5 million domestic and foreign tourists.